Jurys Inn Sheffield has unveiled a £2.65M transformation of its bedrooms, bar, restaurant and lobby. Situated in the heart of the city just a 10 minute walk from Sheffield train station and 35 minutes from Doncaster Airport, the hotel is ideally located for those visiting the area. Bright and inviting, each of the 259 newly-designed bedrooms comes fully-equipped with complimentary high-speed WiFi, flatscreen TV with Freeview and spa toiletries. To ensure a great night’s sleep, bedrooms also boast the exclusive DREAM bed by Jurys Inn, designed with ultimate comfort in mind. Guests can also avail of the hotel's new-look bar and restaurant area, offering contemporary dining menu, 'The Kitchen' and an all-day Costa Coffee bar. 24 hour room service is also available. The hotel's refurbished lobby features a new connectivity area and 'Off the Shelf' offering, which comes fully-stocked with snacks and travel necessities for guest convenience. 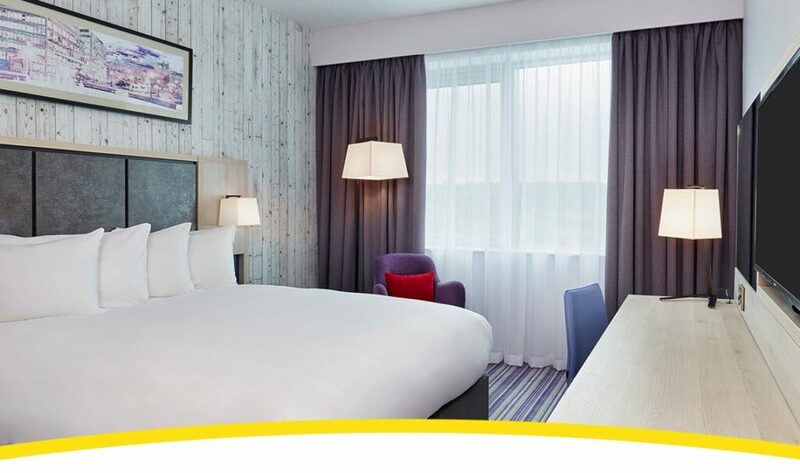 For more information about booking Jurys Inn, contact your nominated Clarity branch.